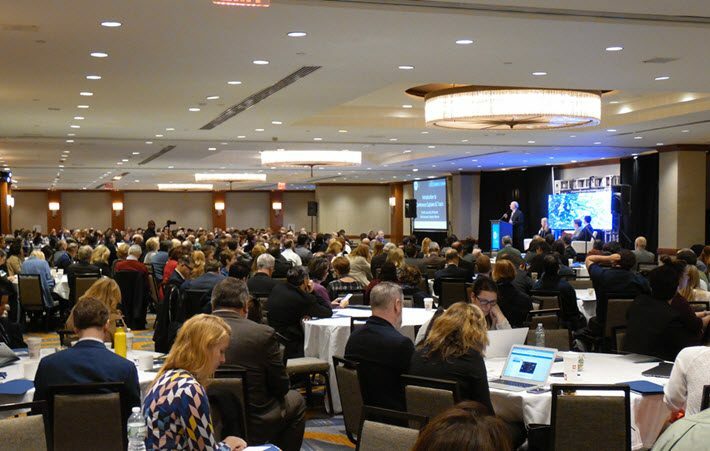 The 2017 Digital Book World conference opened with calls for more data-driven decision-making, despite the inherently subjective nature of book publishing. Kempton Mooney for Data, Analytics, and Marketing. 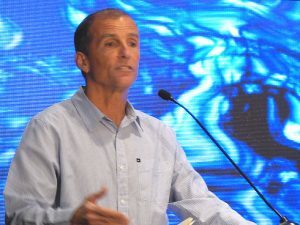 In terms of digital sales, Sargent said, “Ebook growth has stopped, and it has stopped before it forced book retailers out of the business, as it did music and video” retailers. 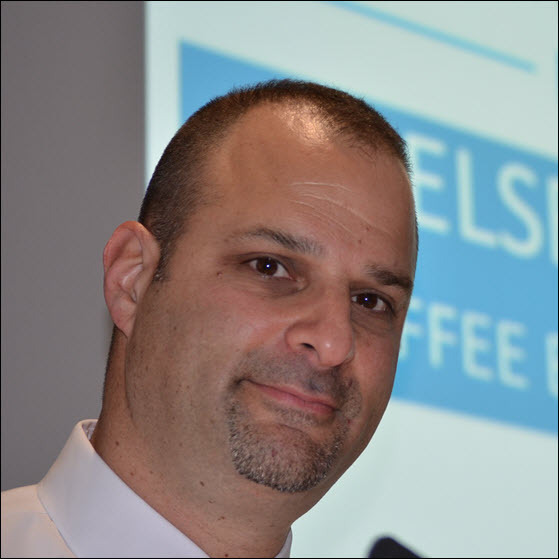 In an observation on the comparative advantages the industry has over “our friends in Seattle,” he asserted that “as a community, we can do better” in terms of marketing. The goal, Sargent said, is “a steady-growth, data-rich business”—which made a good cue for the next keynote, full of Nielsen’s latest industry data. 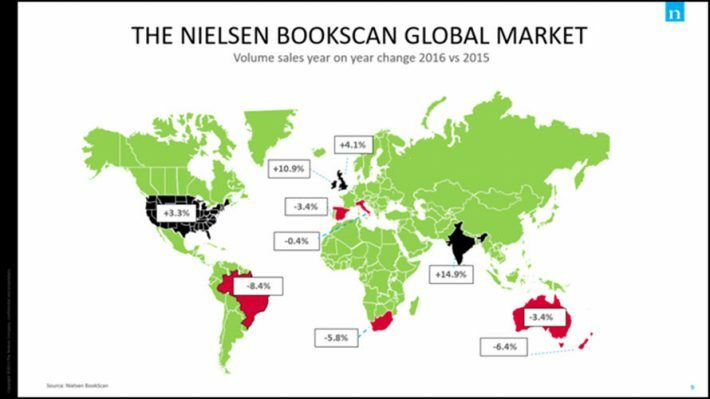 Nielsen Book’s global managing director Jonathan Stolper followed Sargent with a “2016 Year in Review” presentation. 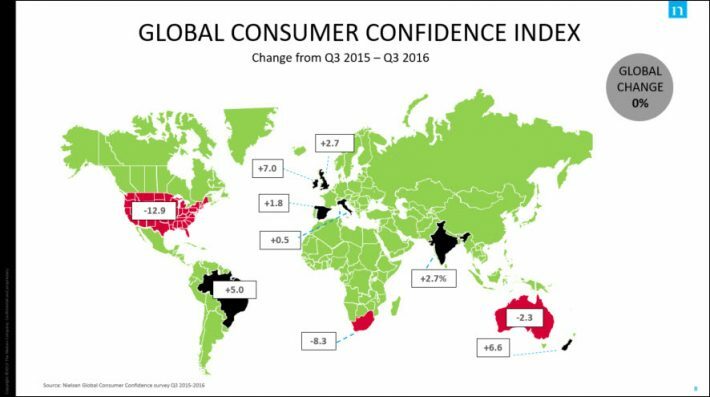 Stolper opened with a look at Nielsen’s Global Consumer Confidence Index, a reflection of sharply idiosyncratic world markets. In the States, for example, concerns about economy, terrorism, and the presidential election, produced a dour -12.3 consumer confidence rating in the third quarter of last year. However, that same period saw a gain of 3.3 percent in volume sales in books, year over year between 2015 and 2016. In the post-Brexit referendum UK, the consumer confidence rating was positive, at +7 percent and a +4.1-percent gain in volume sales. Brazil, Italy, Spain, South Africa, Australia, and New Zealand all showed decreasing sales volume in 2016, Stolper said. In the US, overall book sales, including ebooks, decreased by 1.3 percent. Stolper also pointed out that the percent of e-reader usage declined by one percentage point each quarter. Stolper echoed Sargent’s assertion about the importance of data in a creative industry like book publishing. In a couple of slides on overall sales of two political book in the USA—the Democratic Clinton-Kaine book, Stronger Together, vs. the Trump campaign book, Great Again—he illustrated that although Democrats’ title sold more copies, the Trump book had shown deeper market penetration in the swing states that ultimately led to Trump’s election victory. 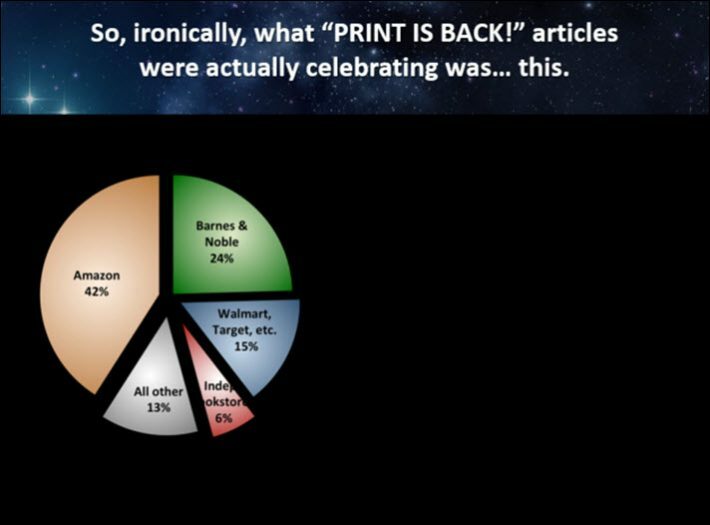 Indeed, Data Guy—who speaks again Wednesday at DBW and on Thursday at DBW Indie Author—recommended that publishing get past print vs. digital completely and think in terms of online vs. physical-store sales as the most relevant dichotomy in publishing today. His explanation for the rise in US trade print sales in 2015 and 2016 is that in 2015 the large trade publishers’ agency contracts eliminated retailer discounting of ebooks prompting Amazon, in mid-2015, to increase its discounts on their print books, instead. Another surprise: His numbers show 32 percent of juvenile science fiction/fantasy/magic titles were self-published. (He sees 61 percent of this going to traditional publishers and 7 percent to Amazon Publishing imprints. Many more data points arrived in this session on more than 60 slides, as other sessions of the day looked at new efforts in serialization, the ways some publishers are using chatbots in marketing, accessibility issues, Wattpad’s approach to finding strong authors, agents’ changing roles, and more analytics. Wednesday’s sessions (January 18) begin again at 9 a.m. Eastern.